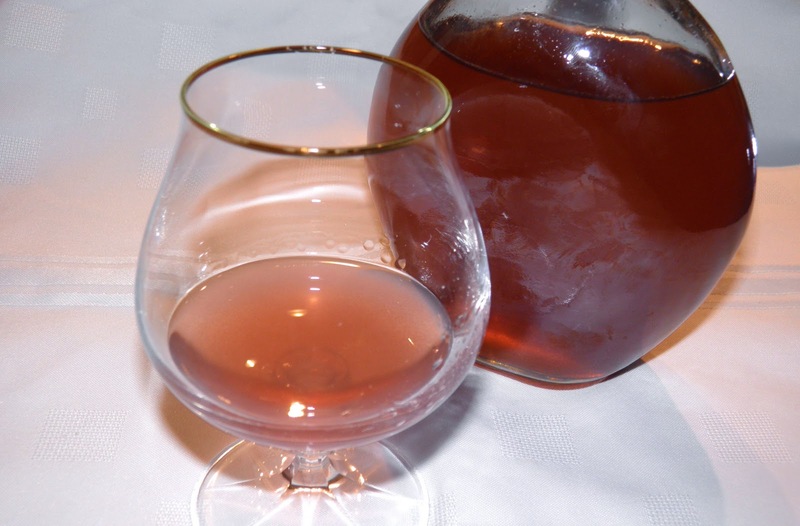 Homemade liqueurs are very diverse, but have you ever thought of floral liqueur? Using essentially any edible flower you can infuse a liqueur. Some would be better than others, for certain. 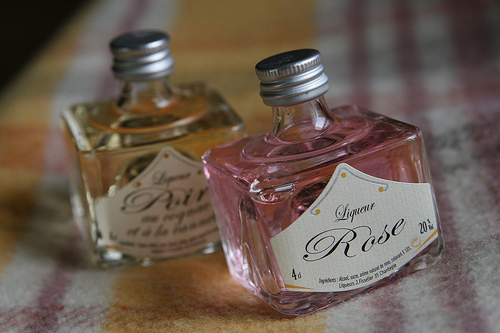 Two common infusions are lavender and rose petal. Even those can be combined further with herbs or spices to create unique tastes that would make your martinis and mixed cocktails one of a kind. Rose liqueur (front), pepper behind. 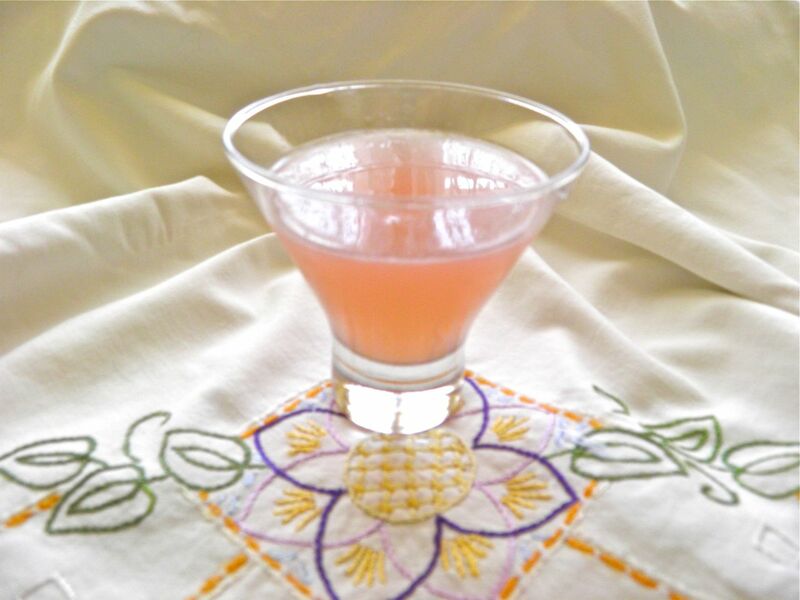 Floral liqueurs—in this case lavender—are in a bit of a category of their own from other liqueurs. Often in the case of liqueur, for example coffee (posted previously), you get more of an alcohol smell than taste. 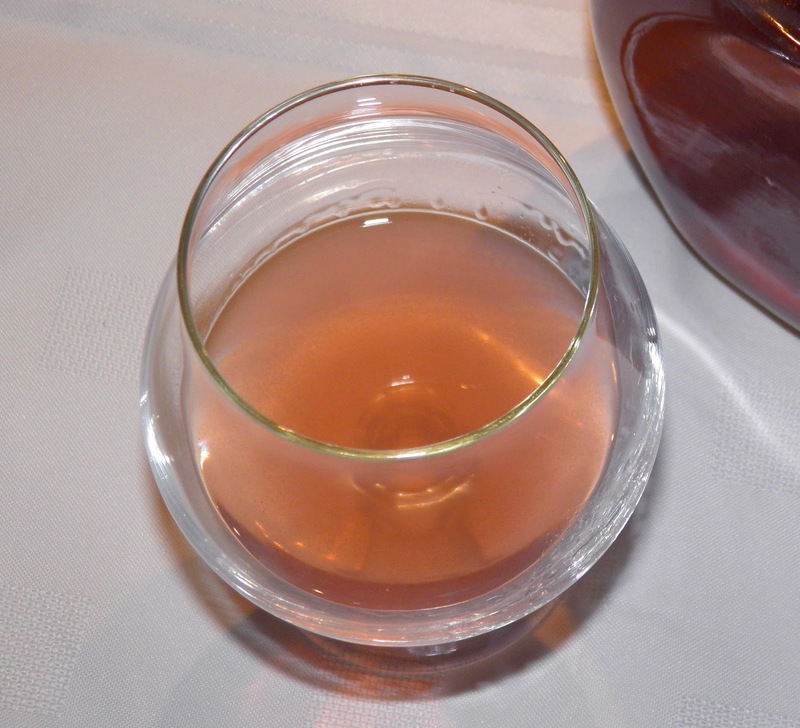 In floral liqueurs, you get neither alcohol smell or taste. The scent of the flower overpowers the vodka base quite effectively. Perhaps a little too well… Very deceiving. This recipe uses dried lavender. If using fresh, double the amount. This should also result in more of a lilac colour than dried. You will also note that the recipe includes cloves and black pepper. 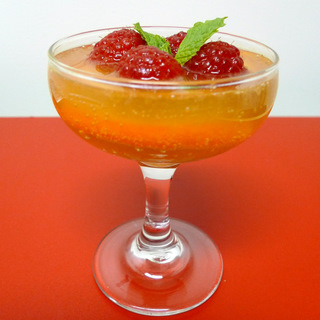 They are there to give a bit more complexity to a liqueur which could very easily be overpowered by strong florals. Make no mistake, this is no "old lady's cordial." I'm sipping some right now. Contrary to what you may think it is not lavender to the power of 10. After the recipe I have included several recipes that use this liqueur. The Desert Flower sounds particularly intriguing. I'm thinking of a few more florals as the growing season gets into swing. Nasturtium is one. The other is a secret, but if I can pull it off it will be a stunner. Stay tuned for more on that one later. Place all ingredients except for the vodka in a saucepan. Bring to a boil and then remove from the heat. Cool slightly, place in a well sealed container and refrigerate for 5 days. Strain, combine with the vodka , add the food colouring and bottle. Combine in a cocktail shaker with ice. Strain into glass. Could you tell me how many mL your recipe makes? Thanks! This recipe makes around 750 ml. 2 cups non-liquor liquids, 1.5 cups vodka = 3.5 cups total. I work for a large distributor in the U.S. and I'm looking for new innovative products to bring on to our portfolio. How can I get a sample of your product? Do you know how long this liqueur will keep? Easily a month. If refrigerated even longer. The aromatics tend to get less pronounced after about a month.